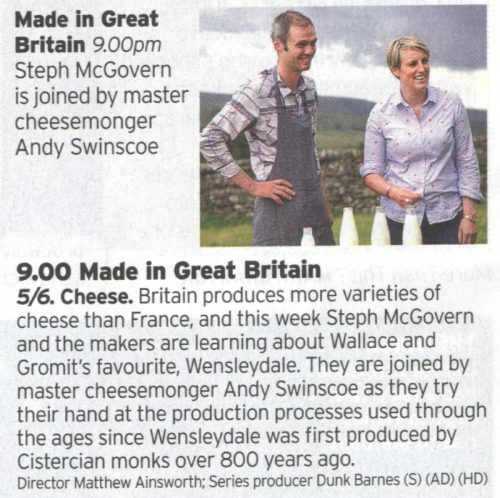 Keen-eyed readers of the Radio Times for 1-7 December will have seen that ‘master cheesemonger’ Andy Swinscoe of The Courtyard Dairy was called in to assist with the latest episode of ‘Made in Britain’, presented by Steph McGovern. 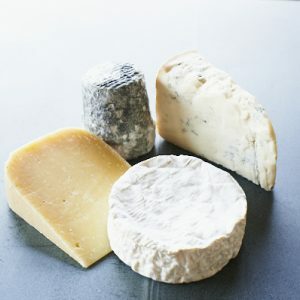 Episode 5 is focused on making Wensleydale cheese and calls upon Andy’s expertise to guide Steph and four ‘makers’ through the history of cheese-making in the Yorkshire Dales. 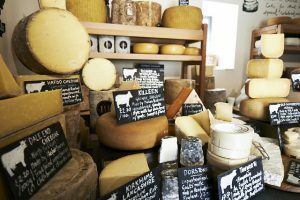 The team have a go at making cheese as it has been made through the ages, practising both ancient and modern techniques, from milking sheep and extracting rennet from a sheep’s stomach to getting involved behind the scenes at Wensleydale Creamery.